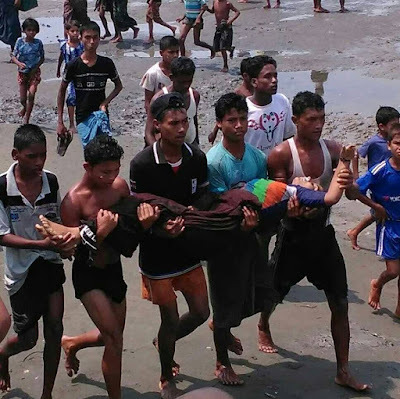 At least 18 Rohingya Muslims were killed on Tuesday morning after their boat capsized off the coast of Sittwe, home to a large IDP camp and the capital of Rakhine State in Western Myanmar. One-third of the roughly 60 passengers on board remain unaccounted for, according to sources on the ground. Six people were admitted to Sittwe General Hospital and were later transferred to a clinic for Muslims at Thet Kay Pin village. Most of the dead and missing are believed to be women and children. The accident occurred at roughly 9:30AM on Tuesday morning when the boat was hit by strong waves as it attempted to make landfall at Thae Chaung village near Sittwe. The passengers were travelling from Sin Tet Maw camp for internally displaced persons in Pauktaw Township to a segregated market for Muslims at Thae Chaung, one of a handful of destinations to which they are legally permitted to travel. The market at Thae Chaung serves as an essential lifeline for displaced Rohingyas in Pauktaw Township, who are unable to trade with neighbouring Buddhist communities. 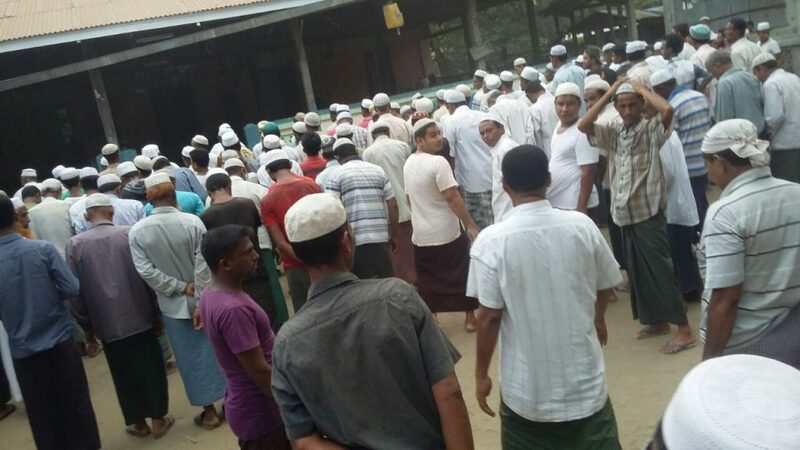 Since 2012, Muslims have been barred from trading at Sittwe’s municipal market, which lies on the Kaladan River in the centre of town. 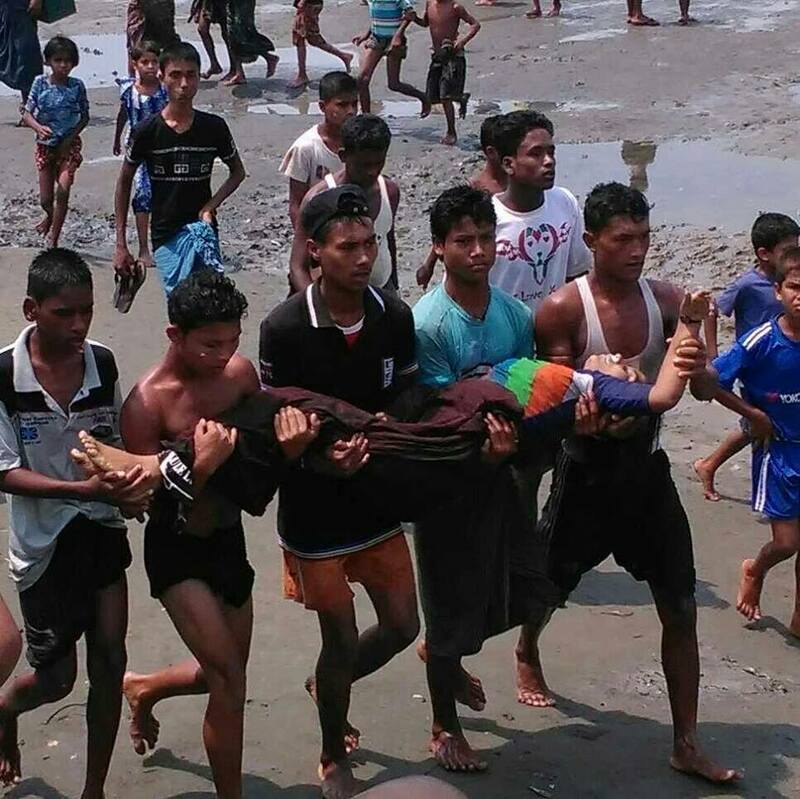 As a result, Rohingyas travelling from Pauktaw need to navigate a stretch of rough sea to reach alternate ports at Ohn Daw Gyi beach or Thae Chaung on the Bay of Bengal. The sea ports servicing areas where Muslims are confined become less accessible during the monsoon season, which usually begins in June. The tragedy opens a window on the pointless struggle faced by the Rohingya in Myanmar. Since 2014, an estimated 100,000 people fled persecution and privation in Rakhine State and Bangladesh by sea, usually to Thailand and Malaysia, with voyages facilitated by predatory human traffickers. Before such movements largely came to a halt in the second half of 2015, Thae Chaung was a major point of departure for Rohingyas making the fraught trip across the Bay of Bengal. In 2012, more than 140,000 Muslims were displaced in violent campaigns that targeted their homes and businesses. They have needed to apply for permission to move from township to township following the 2012 violence, which has had a catastrophic impact on their livelihoods and has left hundreds of thousands reliant on aid from international agencies. Although these mobility restrictions affect Rohingyas across Rakhine State, the isolation of Rohingya communities in Pauktaw Township leaves them particularly vulnerable. Access to fresh water is a particular problem for displaced Rohingyas in Pauktaw Township, as the areas they are displaced to are low-lying and marshy and are poorly supplied with groundwater. As a result, international agencies routinely bring in potable water to the displaced by boat, although this is not enough to stave off acute thirst. Over the past three years, many Rohingyas displaced in Pauktaw have relocated to camps near Sittwe because they perceive access to services to be better there.